1 newly listed books. Displaying 1 To 1. NERI Antonio/MERRETT Christopher The Art of Glass 2003. English Reprint of 1612 L'Arte Vetraria. 21x14. Ill Card Covers. Mint. 436pp with 5 b/w illus amongst text. 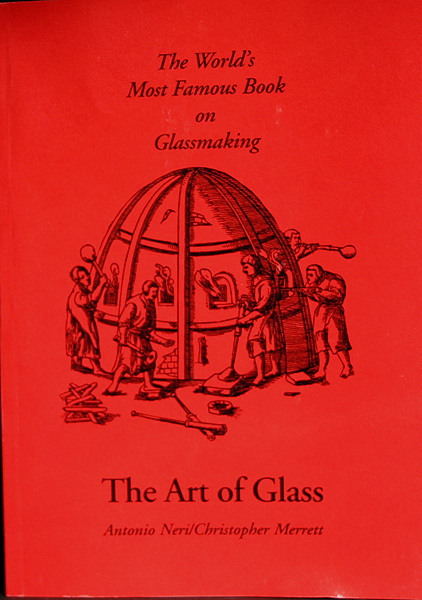 This is the World's most famous book on glassmaking. It was first published in 1612 as L'Arte Vetraria by Antonio Neri who claimed to have experience of glassmaking in several countries, particularly coloured glass. Translated into English by Christopher Merret in 1662 who also added extensive notes of his own It is introduced by an essay written in 1962 by Professor W.E.S. Turner which explains the background and importance of this work.